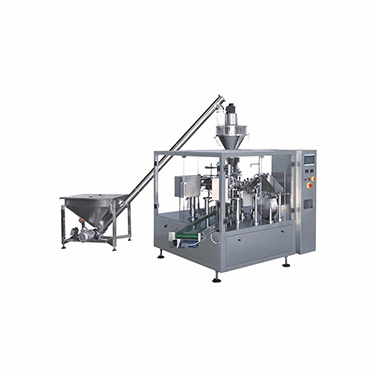 To the bag powder packaging machine_Food packing machie_Product_Shanghai Saifeng Packing Machinery Equipment Co.,Ltd._Shanghai Saifeng Packing Machinery Equipment Co.,Ltd. Automatic bag to the packaging machine ismy company in the itroduction of foreign advanced technoloy on the basis of their own innovative design models,and in strict accordance with the food industry standard manufacturing.With high efficiency,high performance production capacity,simple design and stable mechanical cam drive structure to make operation and maintenance easier; all control by the automated software system to facilitate the functional adjustment and technology upgrades,never backward.Using the latest German PLC control system.The inverter is used as the international famous brand.The automatic take the bag,the code,the open bag,the cutting material,the material,the sealing,the output of the inverter,the main motor,the PLC,the frequency changer,the sensor,the relay Workflow,step in place.No touch bag, touch screen,parameter setting convenient and quick,automatic fault diagnosis,fault display at a glance,high sensitivity of the electric eye Tracking,high production effciency,only two operations,can reduce the artfica 5-7 people,greatly reduce production costs. 1.the whole machine running noise: equipment running noise within 70db (1m range). 2.the equipment sealed with thermostat. 3.open the bag with a vacuum open the bag way. 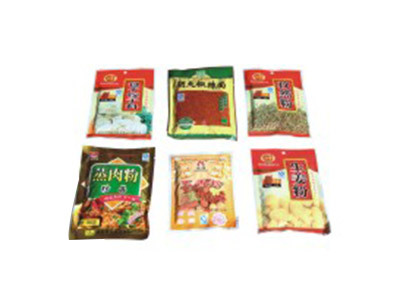 4.equipment with empty bag sealing device to prevent empty bag is not sealed,do not waste bags. 5.the packaging machine control long said the release of material move-ments,not a wate of masterials. 6.the equipment according to the bag size,supporting the appropriate stainless steel under the hopper,easy to replace the next hopper. 7.equipment supporting vibration device to ensure that the material packaging process will not produce sealing material phenomenon. 8 the equipment for different product adjustment,only need to adjust the device to a handle to complete all the claws adjustment,easy to adjust.